Strewn with discarded flowers, an upturned trestle table and smashed crockery, the stage at the end of Gerald Barry’s operatic version of Wilde’s The Importance of Being Earnest speaks of a piece high in impact, colour and pace. Barry has cut two-thirds of the text, though the dramatic structure remains intact. The angular, brittle vocal writing, with singers often yelling at the top of their ranges, and the shotgun syllabic setting in the hectic first scene brilliantly underline the artificiality of the characters in this comedy of manners. Oddly, the shadow of Beethoven looms large (Lady Bracknell and Miss Prism offer their own settings of Schiller’s Ode to Joy), as does the tune of Auld Lang Syne, which appears in crude interjections. The spat between Gwendolen and Cecily, as they apparently discover they are both engaged to the same “Ernest”, is coloured aggressively by the smashing of plates, pistol shots and the stomping of jackboots. Throughout, the show’s manic, random quality is achieved by very precise means, just as the most withering remarks in Wilde’s text are written by a needlepoint. A virtuoso explosion from beginning to end, The Importance of Being Earnest is a tour de force for the cast, which mostly returns from the Royal Opera’s 2013 production. 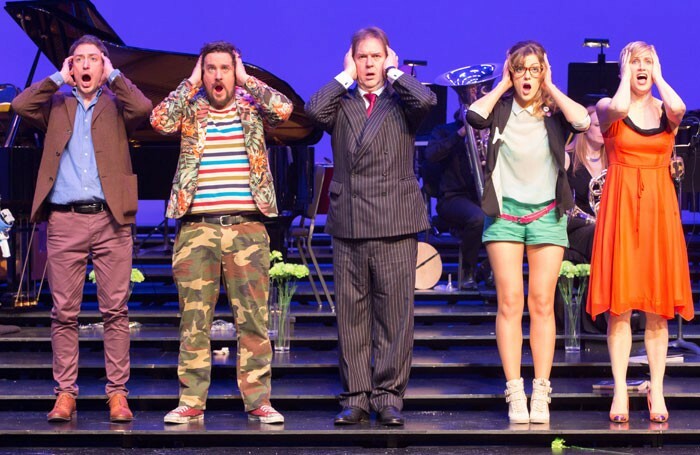 Tenor Paul Curievici proves equal to Barry’s cruelly agile vocal lines and adds comic flair. Alan Ewing, as the pinstripe-suited (and, yes, male) Lady Bracknell, remains imperious amid all the nonsense. Hilary Summers is endearing in the character role of the governess Prism, and Claudia Boyle makes an impressive Royal Opera debut, achieving the stratospheric vocal heights demanded of Cecily. The energy of the singers is matched, even driven, by the pin-sharp Britten Sinfonia, conducted by Tim Murray.